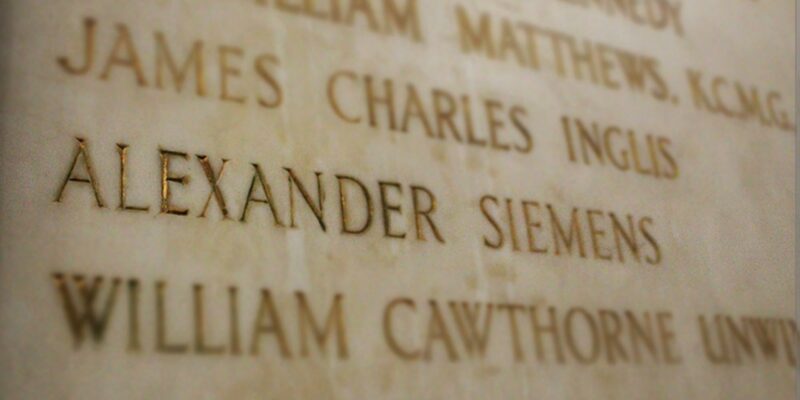 Sir Alexander Siemens was the 46th President of the Institution of Civil Engineers, in 1910. He was the cousin of Werner Von Siemens, who founded the German engineering company Siemens. Werner’s younger brother, Carl Wilhelm Siemens, later Sir Charles William Siemens, founded the British branch of the company, Siemens Brothers. Alexander eventually became managing director of Siemens Brothers. One of Alexander Siemens’ most significant achievements was developing the world’s first public electricity supply in Godalming, while working for Siemens Brothers. Alexander was educated at the Lyceum in Hanover. He studied at the Polytechnic School at Hanover in 1866. In 1867, he moved to Woolwich, London, to work at the Siemens Brothers factory as a pupil of his cousin Charles. While there, he was involved with laying underwater cables. He returned to Germany to study at the University of Berlin in 1868, and again towards the end of 1869. At the end of 1868, Siemens went to Persia (known as Iran today) to help build the Indo-European telegraph line. As a Prussian subject on the outbreak of the Franco-Prussian war in 1870, he was conscripted as a private in the Prussian army. He was wounded at the battle of Beaume-la-Rolande, and was awarded the Iron Cross for courage. In 1879, he took over the management of the electric light department of Siemens Brothers. In this role, he oversaw major projects including – the lighting of the Royal Albert Hall and the Reading Room of the British Museum. Siemens Brothers also carried out the first public electricity supply schemes in the UK, at Godalming in Surrey. After his cousin Sir Charles William died suddenly in 1883, Alexander gradually assumed greater control of the firm. He was elected to the Siemens Brothers’ board in 1889, and became managing director. As well as being the 46th ICE President between 1910 and 1911, Siemens was a founding member of the Society of Telegraph Engineers and Electricians in 1871. The society became the Institution of Electrical Engineers in 1889. 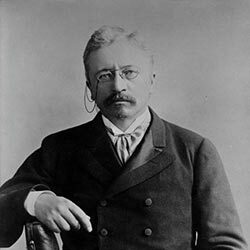 Alexander Siemens’ ICE Presidential Address focused on the work of the engineer as affecting the progress of civilisation. He was a member of the committee that was appointed in 1897 to report on the founding of the National Physical Laboratory, and later served on the body’s executive committee. Siemens was born on 22 January 1867 in Hanover, to Gustav and Sophie Siemens. His father, Gustav, was a judge and the cousin of William (formerly Carl Wilhelm) Siemens, the electrical engineer who founded the Siemens engineering company. Alexander automatically became a Prussian national when Hanover was annexed by Prussia in 1866. He renounced this in 1879, when he became a naturalised British subject. Alexander married Louisa Dodwell in 1881. They had three daughters. His eldest daughter, Mariana, married Professor Bertram Hopkinson, son of the electrical engineer and Cambridge University professor of engineering John Hopkinson. He died on 16 February 1928, at Milford-on-Sea, Hampshire. Member of the expedition which set out in 1876 in the cable ship “Faraday” to lay the Direct United States Transatlantic cable. Helped in design and erection of works at Londonderry (Canada) for the Steel Company of Canada. Developed the first public electricity supply, at Godalming in Surrey. 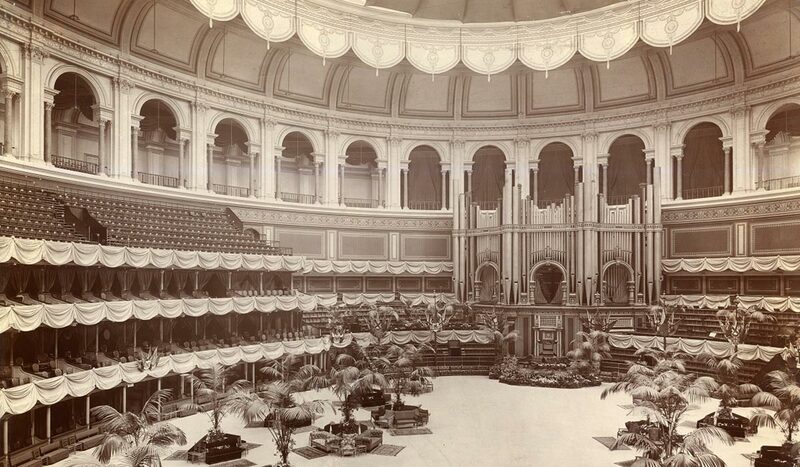 Responsible for electric lighting plants for the Royal Albert Hall and the British Museum. Electrification of the Portrush Tramway, Ireland. Construction of electrical machinery for the City and South London Railway, and for the Waterloo and City Railway.